The title of Ice Cream Man makes the series so unassuming. It seems innocent and wholesome. This anthology comic takes a different stance every go round. 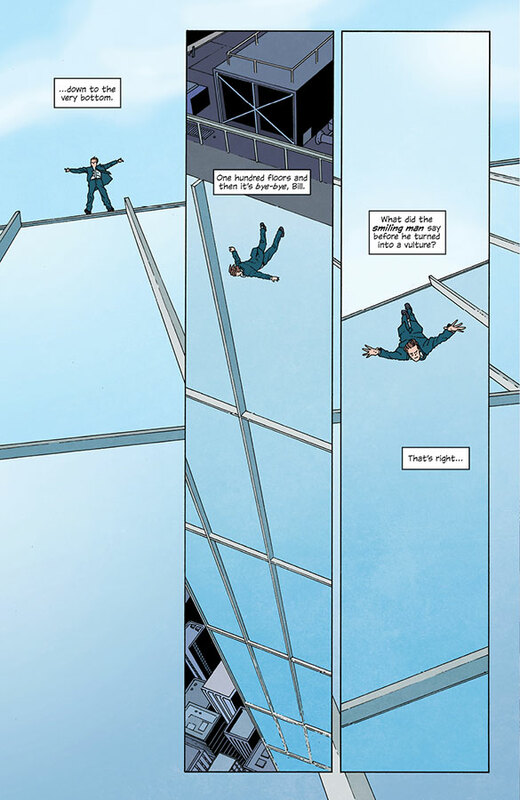 Issue #5 starts off with a man jumping off a hundred foot office building. As this man falls to his death, we get this inner monologue in regards to just how horrible he happens to be. Meanwhile Veronica is also finding her way down from the inside of the skyscraper. Her adventures are gory and strange. Prince, at one point, makes us believe that Veronica’s experiences are part of Bill’s(the skydiver) long repented acid trip that he’s simply coming down from. I’ve had the opportunity to read Ice Cream Man for the last 4 issues. I never know what I’m going to get with each story. I’m still not sure about the character we met at the end of issue #4 and now #5. The bright and colorful artwork is inviting regardless of some of the disturbing subjects. Ballad of a Falling Man puts in perspective of what goes through one’s mind when they meet their impending doom. We will see what the next issue has in store for us.